I love the chips and salsa! And I get a big smile on my face when they bring out my San Jose burrito. It is so tasty. Great for the price, y AMAZING rapidalmente SERVICE ;-) is the best kept secret very reasonably priced. Big shout out to my cousin for introducing me to THIS place (for the lunch special) it's great! Food was outstanding - people are friendly and service was very good. Definitely will be a repeat customer. Always great food and service. Love coming here. Awesome service. Food always spectacular! A wonderful atmosphere, amazing service and the food is phenomenal! Always my number one pick for Mexican food in this area. Best Mexican food north of Texas! Excellent food and excellent service. Never disappointed. Good food, inexpensive, complementary nachos and salsa, great service, what's not to love about this place! The food and service here are very good! I moved here from Southern California and have been on a hunt for great tasting Mexican food since I arrived. This El Rodeo definitely fills that void for me. The Carne Asada here is some of the best I've had. It's reminiscent of back yard BBQs & gatherings. While I usually get the Carne Asada dishes here, my fiance sticks to the chicken. The chicken itself is very flavorful and delicious. 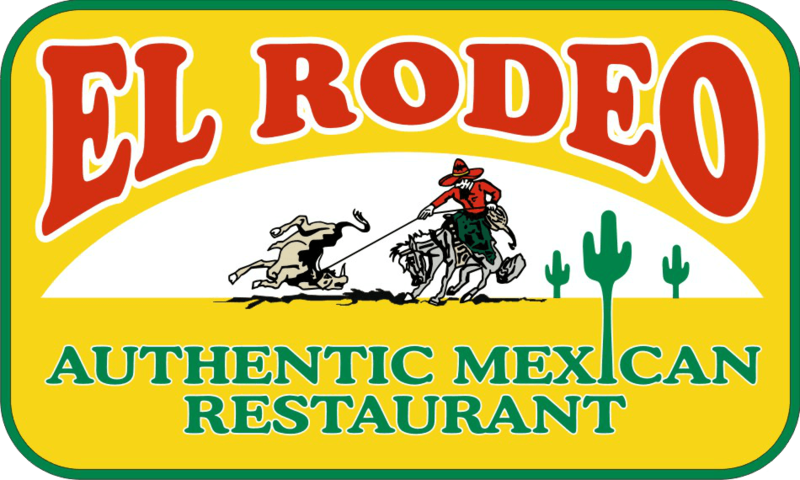 I would recommend this place to visiting family members (from So.Cal), therefore, I would definitely recommend this El Rodeo to anyone! The customer service is unparalleled. They start you off with free, homemade, quality corn tortilla chips. El Rodeo is a fun, family friendly place for anyone. It's all inexpensive and with their wide variety on their menu, you can never grow bored. Personally, I'm fond of their nacho selection. I highly recommend this restaurant and it six other locations. El Rodeo in Lemoyne is my favorite spot for Mexican fare. I've been frequenting here for years with my family & friends. The staff is polite, attentive and show a genuine care for customers enjoying their meals. The brightly colored decor and music provide the restaurant with a festive feel. Chips and salsa are brought to the table by your server as they appear for your drink order. I love when these chips are warm and shimmery showing they are freshly made. The menu offers an ample selection. I typically order the Beef Taco Salad served in a large, light, airy taco shell bowl. Tasty Mexican food served fairly quickly and great service make El Rodeo a smart choice for lunchtime or for dinner when you are ready to eat. I absolutely LOVE this place there food is amazing, A MUST try! Seriously i'm hooked. I get there guacamole dip additionally to there mild sauce that they give you when you arrive and my favorite dish is "Seafood Fajitas" or "Fajitas Der Mar" uff i can't remember the exact name but read the description is the one that brings Tilapia. So it includes two BIG size tilapia fish, shrimps & veggie fried all mixed in this super HOT cast iron plate. With a seperate plate with yellow rice, beans,salad, tortilla & sourcream. YUMMY already thinking of going again by just writting this..lol I wish i could write about other plates but i always end up getting this one, My daughter gets the cheese quezadillas and says they are very good. The staff is AMAZING like seriously friendly. Of all the restaurants i go and trust me i go to alot this one stands out the most because of there wonderful service, OMG Such nice people. This is a great place if your taking guest out that are visiting as you will get no surprises like with other restaurants as is always a very pleasant experience. Great friendly staff and good food!